Used for shaping eye wires. 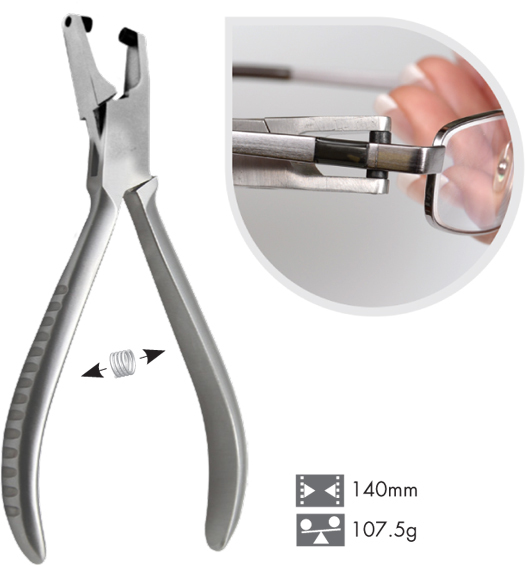 Combination of concave and convex jaws to shape eye wires for optimum lens fit. Ergonomic handle provides solid leverage on thin or thick eye wire designs. For hinges setting. Firm holding of joints during adjustments. With two concave Indentations.